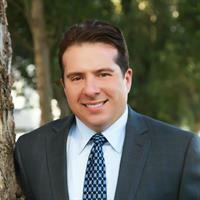 Arthur Alderete's Team has experience assisting various types of clients: First Time Home Buyers, Trade Up & Trade Down Buyers & Sellers. Also the Team has extensive experience with Short Sales and the Foreclosure market. Lastly, we have a great crew who can help facilitate a Real Estate ''Flip'' from commencement to completion. Servicing Newport Beach, Costa Mesa, Irvine, Santa Ana, Huntington Beach & the Surrounding Orange County as a Real Estate Broker and REALTOR®.